Pizza Hut Canada’s $5 $5 $5 Deal is back! 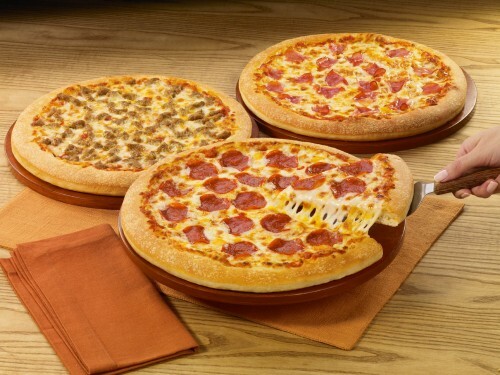 Buy any medium or large pizza and get a 2nd, 3rd, and 4th medium pan pizza for only five bucks each! Looks like it’s not available in Quebec again! Boooo ><! this sounds really good-haven’t ordered pizza in quite a long time. but cant seem to find prices of what the first pizza would cost? darn pizza hut website.